In July 2006, I was shooting and field producing the Anthony Bourdain: No Reservations series in Beirut. With the odd luck of television happenstance, the Israel-Lebanon conflict broke out on our 2nd day of shooting. We were eventually evacuated with other American citizens on the morning of July 20 by the US Marines, but because of the unexpected conflict only a few hours of early footage were available from the first restaurant on our only day of filming what is normally an uplifting, quirky and off-the beaten path Travel Channel show. We continued to film and document while waiting to be evacuated. 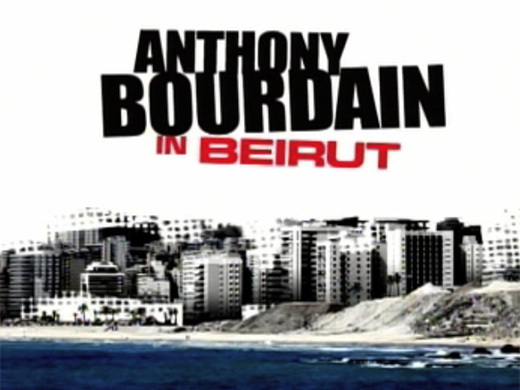 The subsequent episode included footage of both Bourdain and our production staff, and included not only our initial attempts to film the episode, but also our firsthand encounters with Hezbollah supporters, days of waiting for news with other expatriates in a Beirut hotel, and their eventual escape aided by a “cleaner” (prohibited to shoot and unseen in the footage); and our eventual departure with the US Marines. The episode was nominated for an Emmy Award in 2007.